Diwali is referred to as the festival of lights and retains much importance for the Hindus in view of the fact that it is the starting of a new year for them. People celebrate it by presenting gifts and sweets to each other, decorating their houses with lights and diyas. While enjoying, we often forget about many unsung heroes who contribute in making it all the more special. Yes, we are talking about electricians who spend hours making our homes look beautiful during the festive season. Legrand India, which has been powering Indian homes for over two decades decided to make this Diwali a bit different by launching #ComeHomeToCelebrations. With this campaign, Legrand wants us to know the value of electricians in our lives and has shed light on how even they deserve a wonderful Diwali celebration with their families. A video released as a part of this campaign shows the life of Shankar (An electrician) who devotes all his time for helping his customers during the Diwali season. He gets so busy that he doesn’t find time to decorate his own house or spend some special moments with his family. Even when he comes early to decorate his own house with lights, he gets interrupted by a call and goes to check why the lights at the customer’s place aren’t working. Despite being so busy with work, he never complains to anyone and tries to make the most of every moment with a smile on his face. As part of this campaign, Legrand sent a team to his home, who ensured to make Diwali super special for Shankar, with preparations and decorations. They planned this whole thing to surprise electricians and their family members. With this campaign, Legrand is gifting electricians time to celebrate with their families. 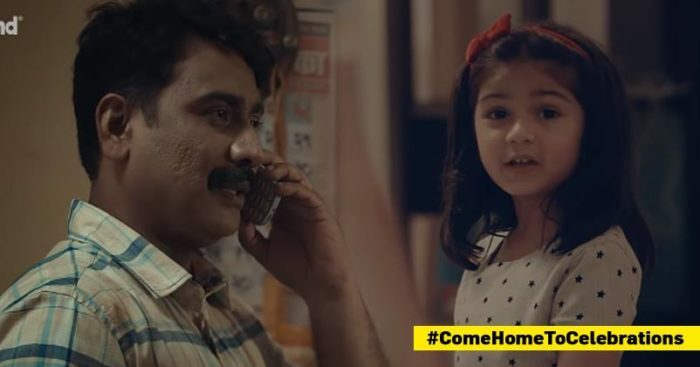 The concept of #ComeHomeToCelebrations is about celebrating family joy, love and sharing it with people around us who directly or indirectly are part of our life. This campaign strengthens Legrand India’s bond with electricians making the impact of brand stronger in customers’ minds.